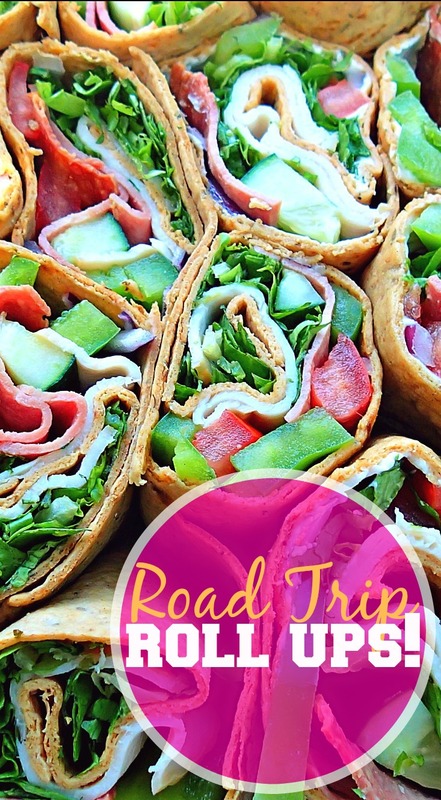 Road Trip Roll Ups: Garlic Cream Cheese, Turkey, & Veggies! You’re probably wondering what the heck I’m doing here since my brother is overseas. Well, Ohio is the “halfway” point from North Carolina and Iowa, where my parents are at. I’m spending a couple of days visiting Ohio and then my parents are coming up for the weekend. Oh, and I’m stopping in Detroit for a night on Wednesday and then coming back to Ohio before my parents get here. I can’t be this close to Detroit and not visit. That’s just silly because I love that city. Anyways, I’ll continue my road trip post tomorrow. 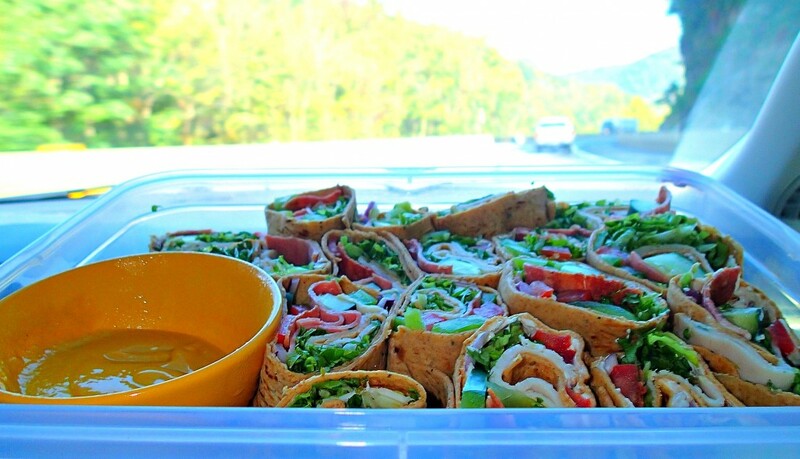 Instead of stopping at restaurants like I normally do on road trips, I wanted to pack healthy wraps for the car ride. 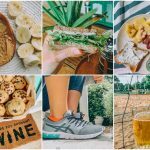 Stopping at restaurants takes up time, it’s overpriced, the food is rarely fresh, the healthier options rarely exist, and I won’t even begin to talk about the chemicals in it. 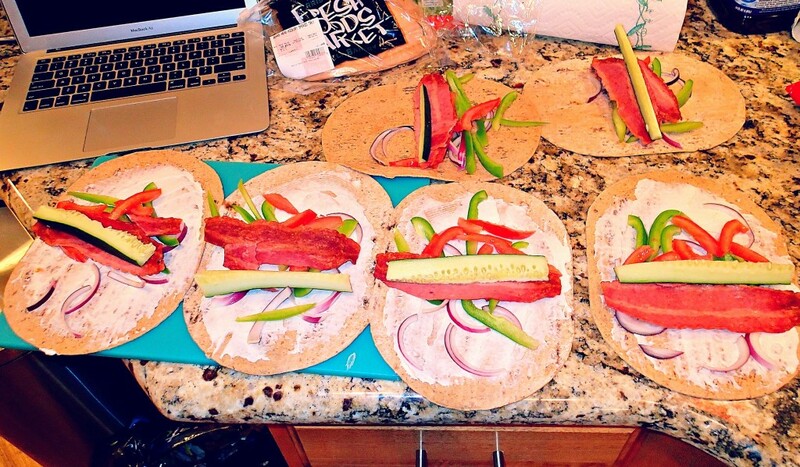 I decided to make turkey wraps because they’re easy to pack, they last a while, and it’s my favorite lunch meat. 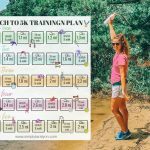 Even though I’m on a mini vacation, I plan on eating really healthy and working out all week. I haven’t been able to workout because of my kidneys and now that I’ve been doctor cleared, I can go at it! I’m pumped for this week. 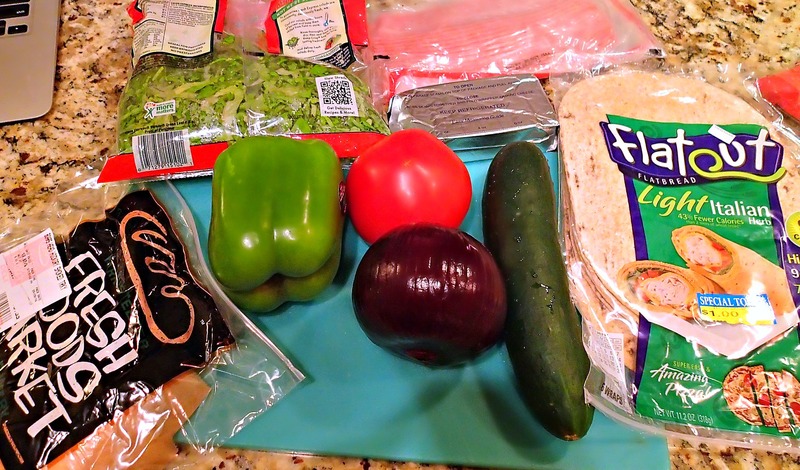 *1/2 pound fresh turkey slices, *1/2 red onion, *1 medium cucumber, *1 green bell pepper, *1 teaspoon garlic powder, *1/4 cup light cream cheese, *4 cups shredded lettuce, *1 medium tomato, *6 slices turkey bacon, *90 Calorie Italian Flatout wraps. 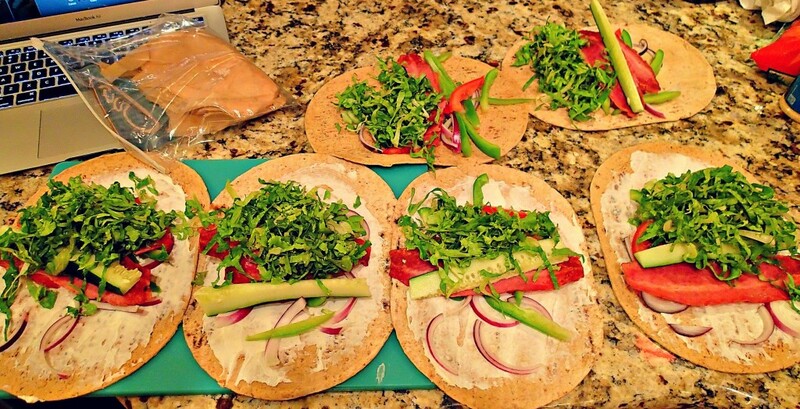 **You can use any wrap, lunchmeat, or veggies that you wish! Make it your own. Mix the cream cheese and garlic powder together. 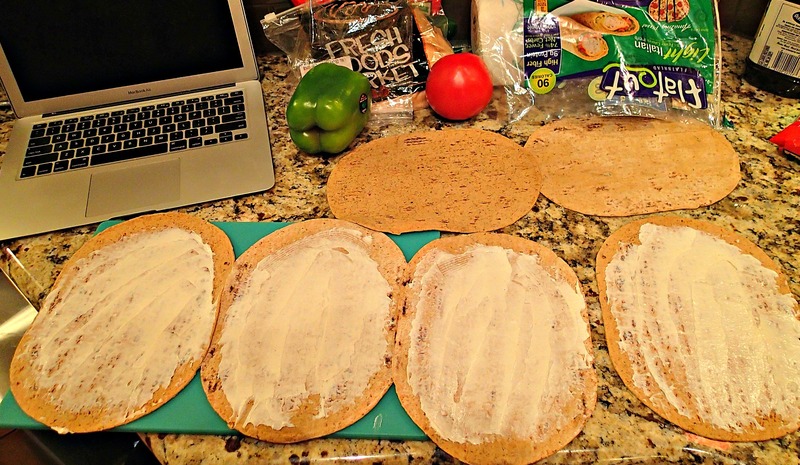 Spread the cream cheese mixture onto the wraps. I left a couple of them without cream cheese just in case someone didn’t want it on there, but the cream cheese is my favorite part. Top the cream cheese layer with sliced tomato, cooked turkey bacon, bell pepper, and cucumber. Add about a cup of lettuce onto each wrap. 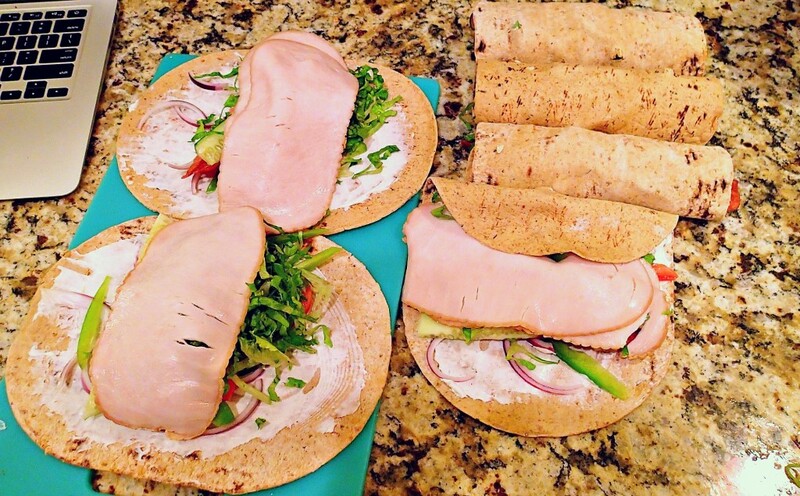 Add a slice or two of turkey onto each wrap. 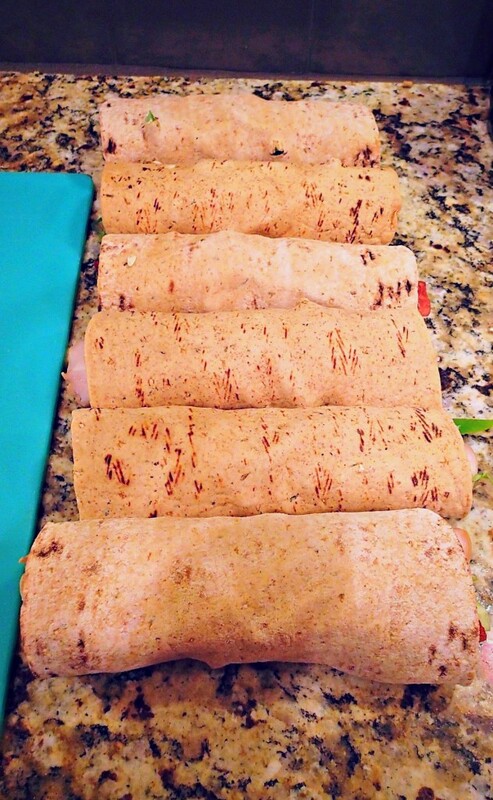 Roll the wraps up tight. 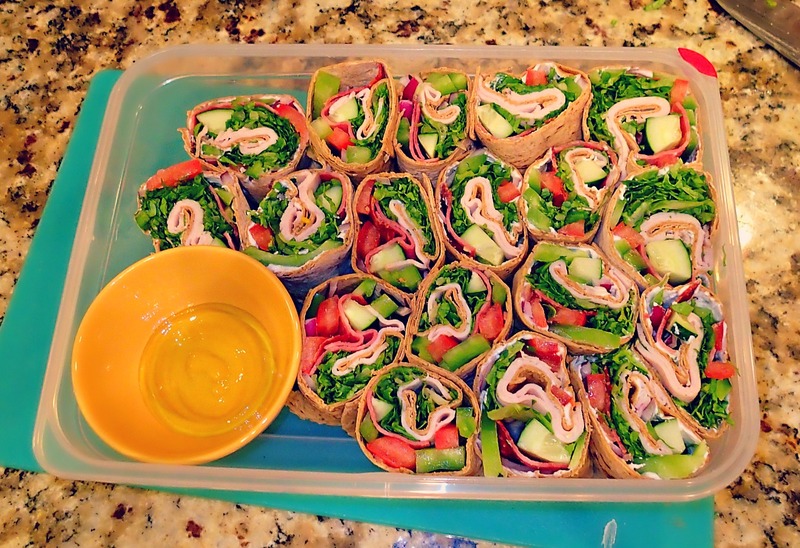 Cut the wraps into thirds and put them in a road trip container. You can wrap them individually in tin foil to make them single servings. They stay together pretty well if you don’t overstuff them. If they’re flimsy, use a toothpick to keep them together. 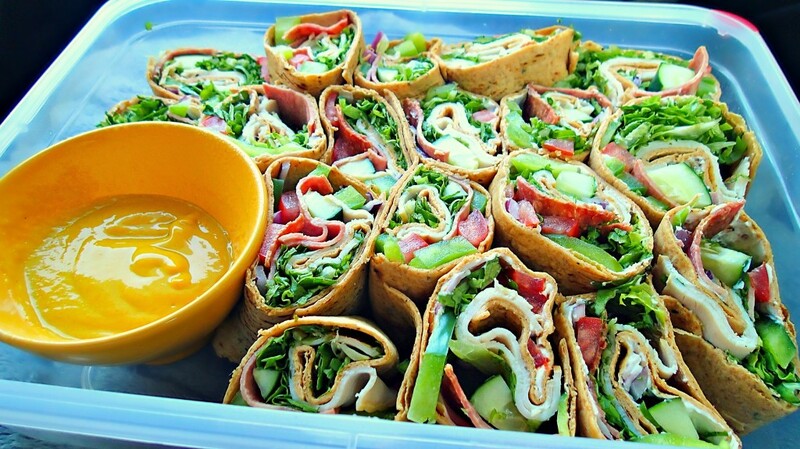 The wraps were so delicious. I would take them over fast food stops any day. I made them the night before and put them in the fridge before the trip. I put a side of mustard in the container for dipping. I think I’ll start making these and keeping them in the fridge all the time. What is your favorite road trip food? Made these for my hike! so good and so easy thanks! Kind of late on this, but I think I’m going to steal your idea and pack these for my moving drive from North Dakota to Florida! I already have a list going of foods I’m going to pack for my husband, my kids, and myself. I really don’t like fast food so I’m going to try and not stop all four days, and at the end of the days just go out for dinner once we stop for the night. If I do get fast food I only go to Panera Bread or places like it. Yum! Do you ever add popcorn in your trail mix? It’s my favorite. Typically I don’t, but now I’m going to try it out! Thanks!! I tend to take one bite of trail mix and can’t stop. Will power and trail mix will never be friends, so I add popcorn to make it more filling. I’m from Michigan and only twenty minutes outside Detroit. Glad you like the city so much 🙂 Wish I could meet you! What a bummer that I can’t have cream cheese! You can use plain greek yogurt as a replacement! That is a super dark red onion. I think the garlic in the cream cheese would be the secret ingredient in these. Yum! Those look delicious! I love all your homemade recipes! I wish you would post more of them! I’m glad your kidneys are better! Cranberry juice helps them so much btw! I can kill an infection without antibiotics by drinking the organic sugar free kind! Seriously recommend. 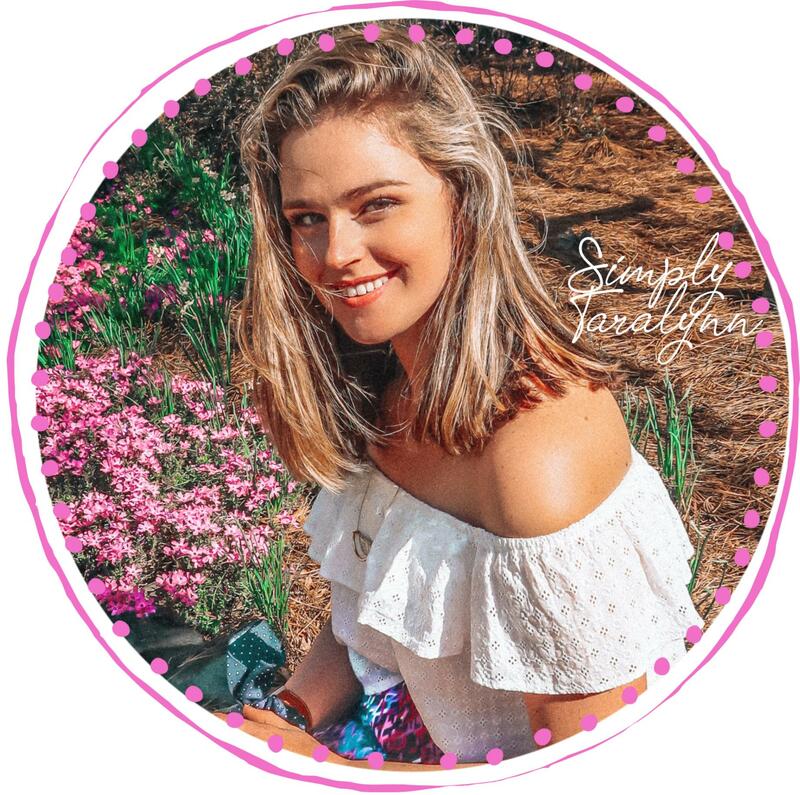 I’m glad your healthy, I love your blog so much girl!! those look really delicious! i love mustard. i think i’ll try these this week. Road Trip to Ohio: Snacks, Sleep, Stops, & Stories!